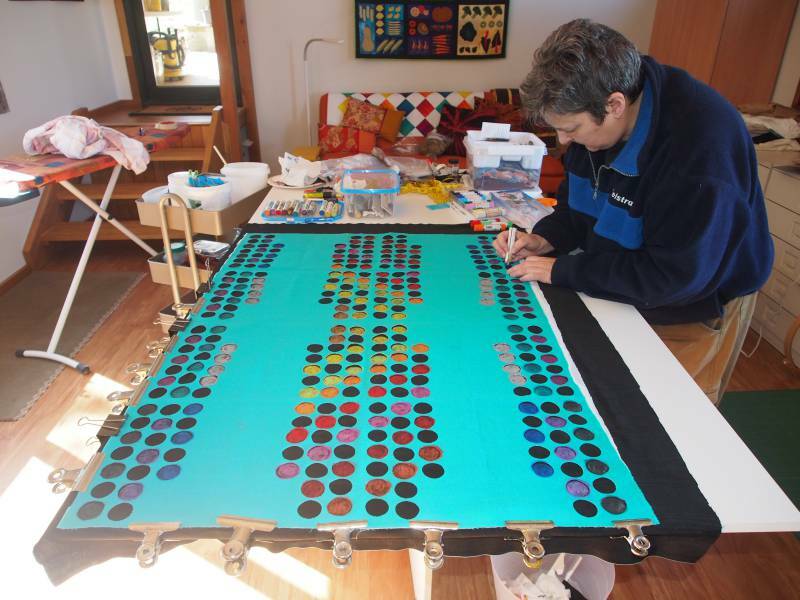 In 2017 I decided to enter a quilt in the Australian Quilts in Public Places (AQIPP) exhibition. The theme was “Reflections” – perfect! 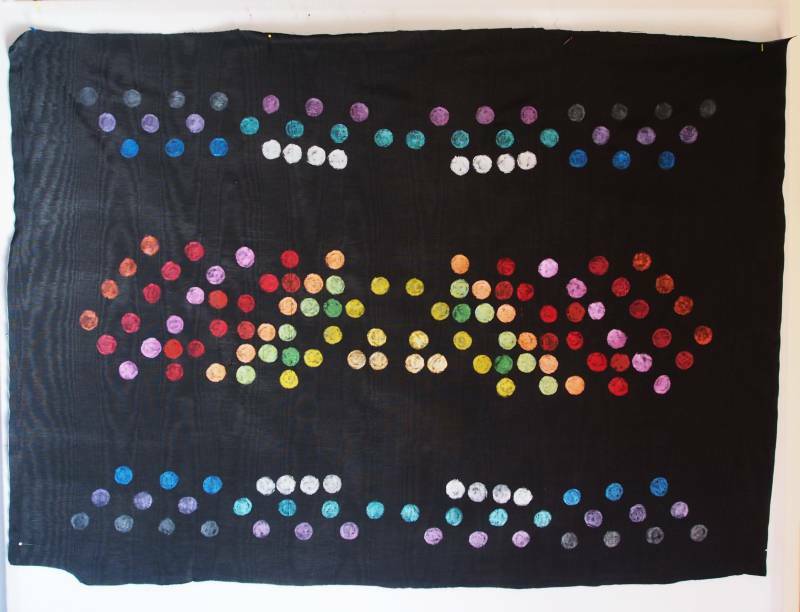 I immediately set into action an idea for a quilt which had been percolating for some time. 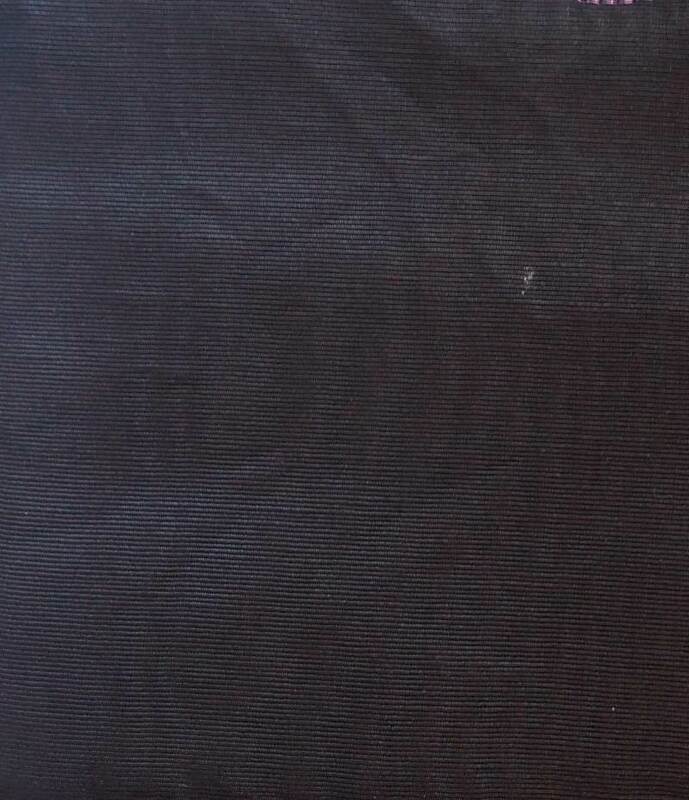 A lovely friend had given me a large piece of shiny, black, corded fabric. It was and remains a bit of a mystery fabric – it could be cotton, it could be silk, and it could be rayon or a combination. Anyway, it was shiny and textured – perfect for my needs as it reflected light. I had also acquired a piece of fabric well suited as a template. It was a thick pseudo-suede fabric with lots of holes punched out to cover buttons. The holes were symmetrically punched. I laid my template over my fabric and I was ready to have a go with my Shiva Paintstiks! 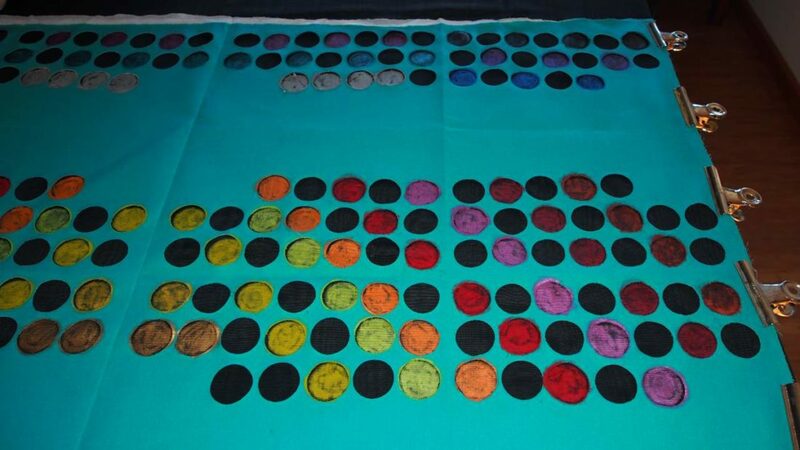 It took a few days to get all of the circles filled in and several more to let the piece dry on my design wall. 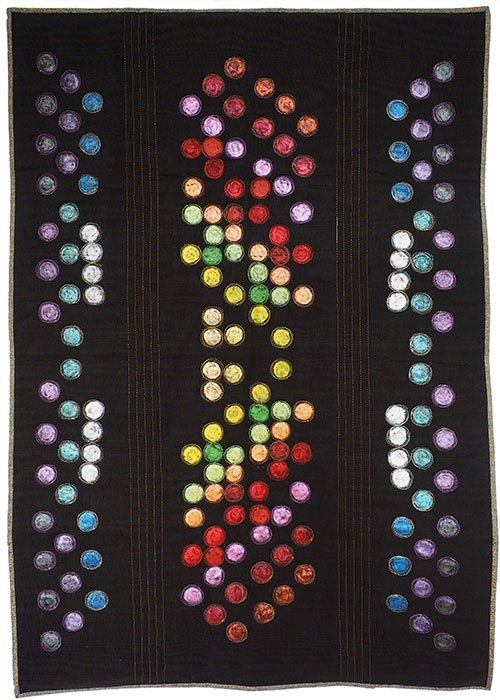 I quilted using metallic and rayon threads to give the piece a more reflective surface. I also used a metallic Essex linen for the binding. 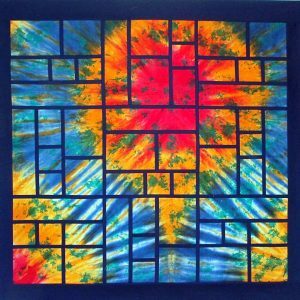 As you see, it is possible to get very creative when using the Shiva Paintstiks in your quilting projects. In Luminous, I was very pleased with the final result! Hope you are too. Like to find out more about Shiva Paintstiks? 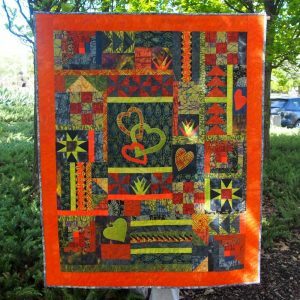 Painted Beauty: How to Use Oil Paintstiks For a More Vibrant Quilt Top! Check out my “Quilters Companion” magazine article now hosted at Cosy Project. Location: Immanuel College, 32 Morphett Rd, Novar Gardens. I love this pattern. Just got the fabrics to give it a try. Very clear, very simple but original. Nicely put together and clear directions. Great pattern, well written, very pleased. 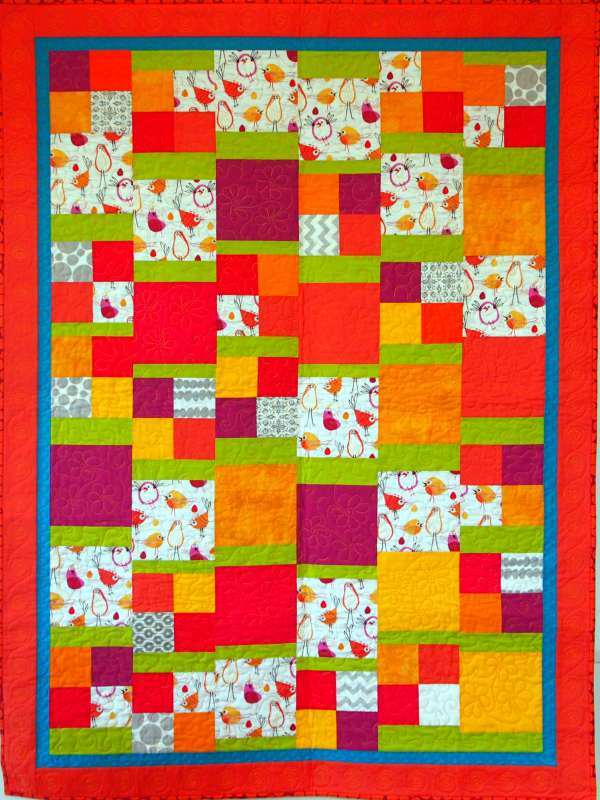 All new Subscribers will receive an exclusive free quilt pattern after confirmation. Thank you - We've now sent you a confirmation email. 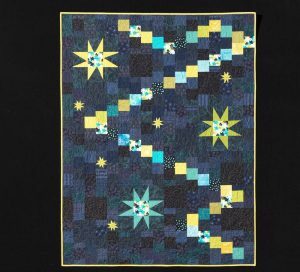 Please check your email inbox now and confirm your Quilting Fabrications news subscription. 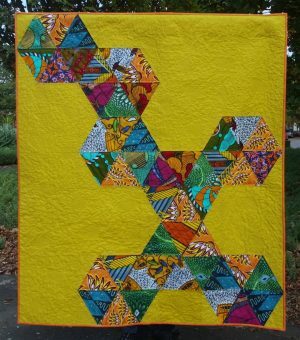 Subscribe now to receive your exclusive free quilt pattern! Join our mailing list to receive the latest news and updates from Quilting Fabrications. I hate SPAM, and promise to keep your email address safe. At any time you may unsubscribe from our mailing list.